Rare summons definitely make the world go 'round in Battlejack, but Honor summons are a pretty good alternative in comparison to most other mobile RPGs. Sure, you get a bunch of trash heroes most of the time, but among the trash lies gold -- specifically EXP-granting ghosts, evolution materials, and heroes that can be evolved up to 5 and 6 stars. At this point I've gotten a handful of decent pulls from Honor summons, which is more than I can say for some other games. There's a reason for that, though: EXP is hard to come by, and ideally you want heroes with complimentary alignments for their skills. Getting a great unit is always a double-edged sword when it doesn't have a good alignment. One one hand it's GREAT, on the other hand it's not going to be so great compared to those of some other players' if the alignment is bad. But I digress. 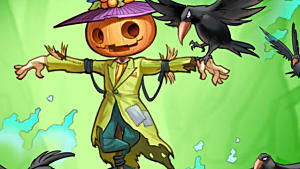 We're here to talk about how to farm Honor, because more pulls is always good. "Bleed me dry!" - Honor summon, probably. The first part of this is to have a decent leader, preferably 4+ stars and (if possible) granting an always-activated bonus like x3 DEF or +40% ATK for certain colors rather than a trait buff or a leader skill that requires 21 for an ATK multiplier. It being above level 30 is a definite plus, and new players seem to like ATK leaders more than DEF. Why do you need a hero that fits these requirements? Because you're going fishing. 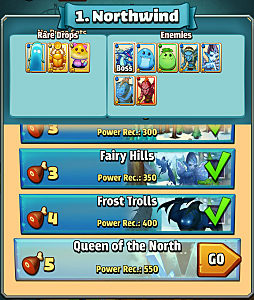 The gist of this strategy is to get new players to try to add you to their friend list based on your leader, and your leader needs to be easy to use to entice other players to use your leader and try to add you to friends. Much like Puzzle & Dragons, it seems that other players will generally see you in their prospective friend listings only if you've run the dungeon they're doing in the past couple/few hours. So if you're not running low-level content, you're not going to get a flood of invites from players over your sweet leader. I'm not entirely sure how often this works nor am I sure how it works, but I have tested it on both my and my husband's accounts and have seen results from both. On both accounts I run the Queen of the North dungeon in Northwind -- and after a couple minutes get a flood of invites, sometimes with the flood turning into a trickle that lasts an hour or so. It's pretty nice. This can work on any of the last dungeons in any of the first 5 areas, depending on the element of the leader you have that fits the requirements mentioned above. Now, do note that this won't necessarily work all the time. I'm not sure if there's a cap to how many friend requests you can get in a day or what, but there is a point where the invites stop rolling in and you have to wait anywhere from several hours to a whole day to do it again. There are stipulations to this whole process, but the fact remains it's entirely possible to rake in hundreds of extra Honor a day just by running lowbie dungeons and having the right leader. 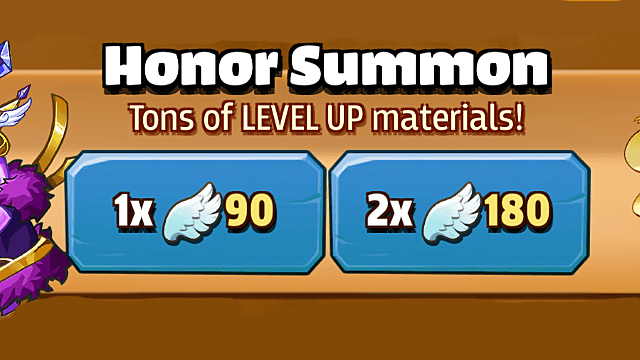 Making upwards of 300 Honor in just a few minutes is more than worth it each time, just don't get too bummed out when the invites stop trickling in. Need more tips and tricks for getting ahead in this game? 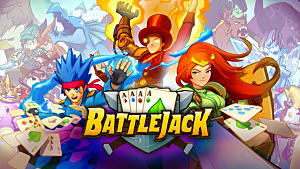 Check out the rest of our Battlejack guides for everything you need to know!